During the hearing CJI Misra said "We are concerned that a film is being banned from being exhibited...expression of a creative content..my constitutional conscience is shocked". Justice Chandrachud chipped in to say: "valuable constitutional rights are at stake"
Emphasising on "right to freedom of speech and expression", the Chief Justice Dipak Misra-led bench of the Supreme Court today stayed the operation of the notifications of the states of Gujarat and Rajasthan and the decision of the states of Madhya Pradesh and Haryana to ban the screening of the Film 'Padmavat'. "It has to be borne in mind, expression of an idea by any one through the medium of cinema which is a public medium has its own status under the Constitution and the Statute. There is a Censor Board under the Act which allows grant of certificate for screening of the movies. As we scan the language of the Act and the guidelines framed thereunder it prohibits use and presentation of visuals or words contemptuous of racial, religious or other groups. Be that as it may. As advised at present once the Certificate has been issued, there is prima facie a presumption that the concerned authority has taken into account all the guidelines including public order", said the Bench. The movie is expected to be released on January 25. The order came on a petition filed by its producers Viacom Productions. 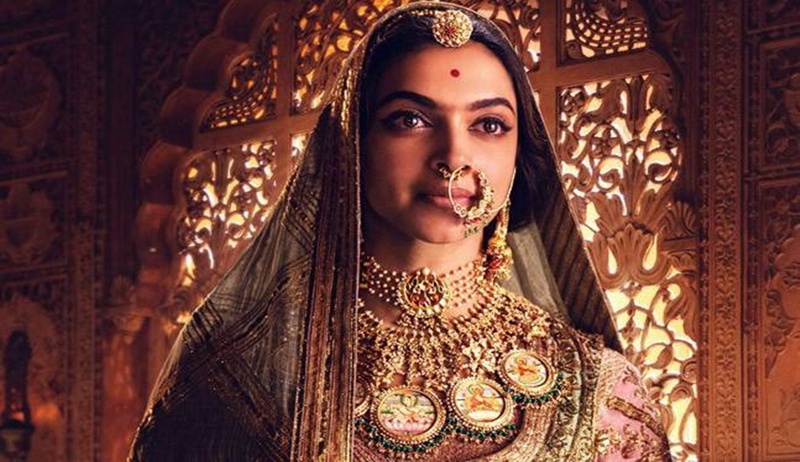 The bench of Chief Justice Dipak Misra, Justice D. Y. Chandrachud and Justice A. M. Khanwilkar on Thursday granted an interim injunction, prima facie in nature and in view of the Fundamental Right of Freedom of Expression in Article 19(1), against decision of four states to ban the release and public exhibition of the film Padmavat. Senior Counsel Harish Salve, appearing on behalf of the petitioner, referred to the judgement of the Supreme Court in Prakash Jha Productions v. UOI in so far as it interprets section 6 of the UP Cinema (Regulation) Act of 1955, dealing with the power of the state government to suspend the public exhibition of a film, as “When it is said that a film is being publicly exhibited, it definitely pre-supposes a meaning that the film is being exhibited for public and in doing so if it is found to likely to cause breach of peace then in that event such a power could be exercised by the State Government. Such an extra-ordinary power cannot be exercised with regard to a film which is yet to be exhibited openly and publicly in a particular State. This view that we have taken is also fortified from the use of the word 'suspension' in the said section”. Senior counsel Mukul Rohatgi also said that the states cannot act as the “super censor board”. Relying on section 5A(3) of the Cinematographer Act of 1952, Mr. Salve submitted that the certificate issued by the Central Board of Film Certification (CBFC) is applicable all over the territory of India and any state, in the name of law and order, cannot forbid the release of any film so certified. He further stated that any certificate issued by the CBFC is in accordance with the guiding principles of inter alia public order, decency, morality and defamation as stipulated in section 5 B of the Act of 1952. The Bench observed that The creative content is an insegregable aspect of Article 19(1) of the Constitution. Needless to emphasise, this right is not absolute. "There can be regulatory measures. Regulatory measures are reflectible from the language employed under Section 5B of the Act and the guidelines issued by the Central Government. Once the parliamentary legislation confers the responsibility and the power on a statutory Board and the Board grants certification, non-exhibition of the film by the States would be contrary to the statutory provisions and infringe the fundamental right of the petitioners"
Cinematograph Act and the Rules framed thereunder. There is a Censor Board under the Act which screens the movies. The said Act prohibits use and presentation of visual or words contemptuous of racial, religious or other groups. In the case at hand, the name of the movie is „Dhobi Ghat‟. It is difficult to understand how an association which is represented by the petitioner can conceive the idea that if a movie is named „Dhobi Ghat‟, it is offensive or plays foul of the provisions of the Scheduled Caste and Scheduled Tribes Act of 1989. Therefore, we are of the considered opinion that there is actually no public interest”. Despite arguments of the ASG Tushar Mehta that such an interim order would amount to a final order in view of the film being released on January 25, the bench granted the stay and scheduled the matter for further hearing on March 26. "we direct there shall be stay of operation of the notifications and orders issued by the respondent-States and we also restrain the other States to issue notifications/orders in any manner prohibiting the exhibition. said the Bench in its order.